What does it really take to live in the treetops in the world’s most diverse eco-system? Mateo Hogan, co-founder of a self-sustaining tree house community in Costa Rica, talks about the challenges of Finca Bellavista. 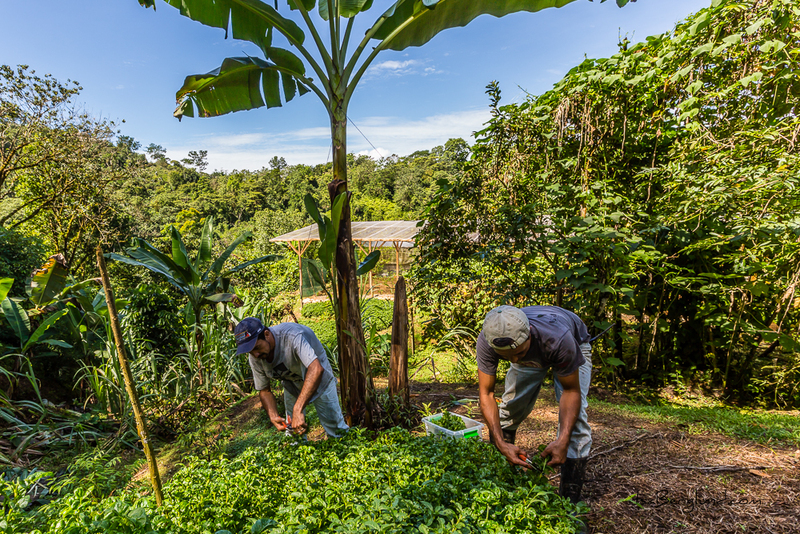 Tell us about your involvement with environmental movements or community living prior to Finca Bellavista? My business partner Erica, minored in Environmental Studies in college and was involved in botanical inventories and environmental impact studies for the creation of the Black Canyon of the Gunnison National Park prior to our venturing into Finca Bellavista. We have both been strong proponents of conservation and environmental stewardship, and as for community living; I suppose you can technically say we have always lived in communities, right? We have lived in urban and suburban communities in Maryland, Oklahoma and California, as well as a very small town community in Crested Butte, Colorado. The latter gave us more insight as to how to develop something attractive to like-minded, environmentally conscious individuals who might appreciate the lifestyle that Finca Bellavista provides. What inspiration have you taken from other tree house schemes or environmental housing developments? We enlisted advice and opinions from other professionals in tree house design and construction; tree house pioneers such as Michael Garnier, Pete Nelson, Charlie Greenwood, Bubba Smith, Daryl McDonald and others. We certainly studied, searching far and wide for examples of sustainable developments, but we still had to create something that directly related to and worked for Finca Bellavista, given the unique environment here. The property is not without its challenges, but we wanted to design around the existing environment — it’s hard to improve on what Mother Nature has already done. We simply tried to create dry, comfortable spaces for us humans to reside alongside the bazillion other things that live there. However, to our knowledge, Finca Bellavista is breaking new ground as the world’s first modern and master-planned tree house community. 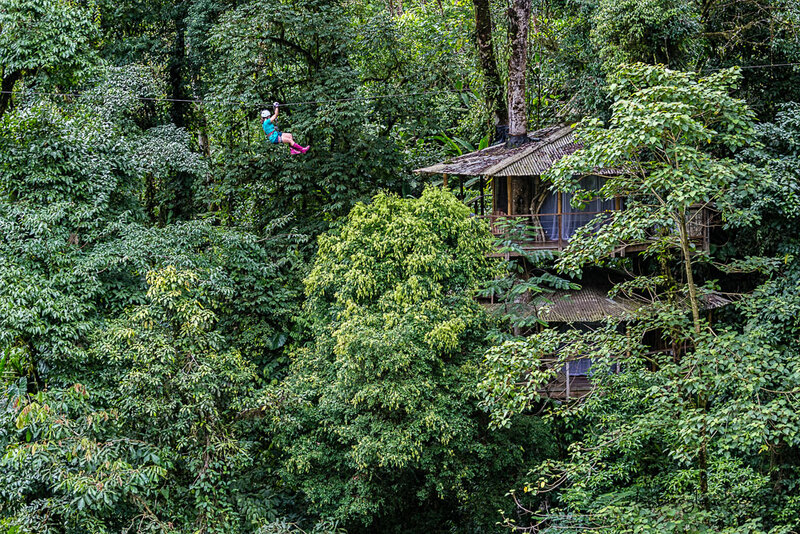 The only other planned community of tree house dwellers is perhaps the indigenous Korowai tribe of Papua New Guinea. 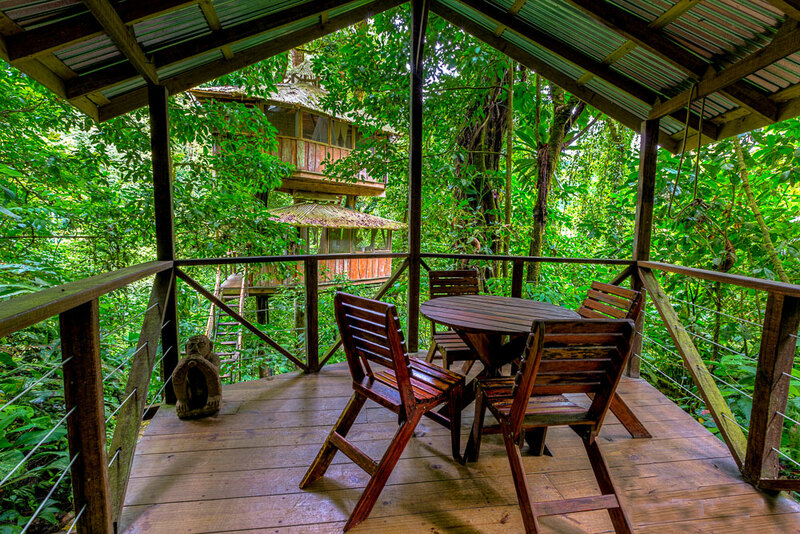 The tree houses of Finca Bellavista are slightly more architecturally advanced, and fortunately we don’t need to build ours tall enough to protect against tigers and other warring tribes! A self sustained community. Photo by Matt Berglund. You have addressed housing requirements for living in the jungle, but how will you ensure that the community itself ‘works’ and flourishes? We have been living here for more than 10 years and have faced a lot of the challenges inherent with learning to live in a new environment. In fact, those of us who live here, as well as our approximately 5000 visitors per year, all feel very relaxed and are very drawn to the natural vibe of the lifestyle it provides. Everyone who has chosen to become a part of the Finca Bellavista community shares at least one or two similar traits. It may be a sense of adventure, a love of the outdoors, a forest conservation mindset, or just an enjoyment of the wonders of the rainforest. This means that most people in the community have many things in common. 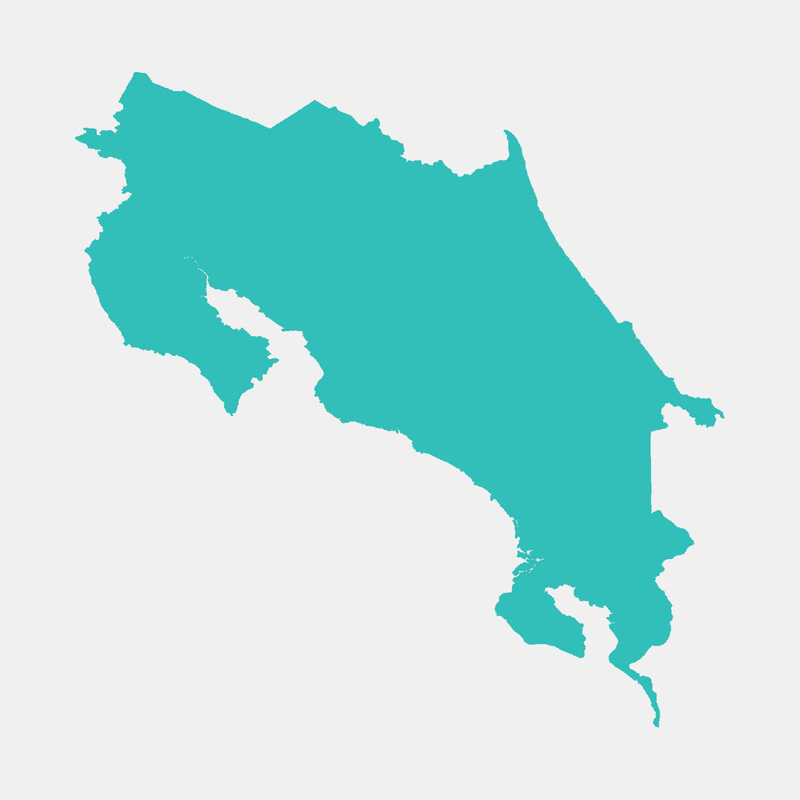 Of course, everyone has different backgrounds, but for one reason or another, people have chosen a life path slightly less ordinary and have landed in southern Costa Rica. I believe that the commonality of some of the aforementioned traits as well as the various cultural backgrounds come together to create a unique synergy in a snowball effect that has caused the community to flourish over the past decade. And there’s a reason why the bulk of the animals on the planet live within 10 degrees of the Equator, I think that many of our visitors are quite surprised how comfortable living at FBV actually is. How do you deal with the challenges posed by spiders, snakes, and other creatures that also make their home in the jungle? 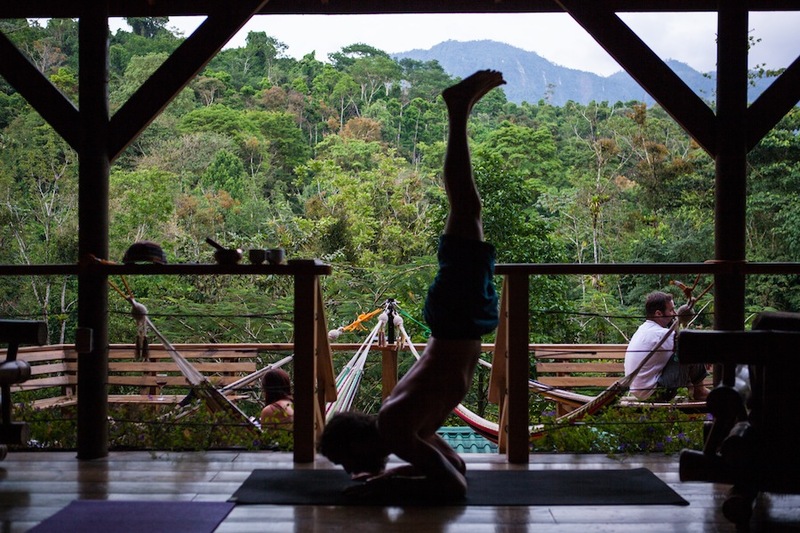 Finca Bellavista surprises most visitors because within 24 hours they realise that most of their fears about the spooky, snaky, buggy, scary rainforest are unfounded. People discover that it is actually an amazing place and climate. The toughest thing our residents and visitors deal with has nothing to do with the snakes and the bugs. The sweaty-palm-inducing panic-mode kicks in during the first day or two from not having 24/7 internet connectivity to play with their smartphones; once they slow down and stop to enjoy their surroundings, most folks don’t miss their phones at all. Having a break from technology is a necessary type of therapy for people and the sensory overload of nature at Finca Bellavista really helps to keep people distracted from their devices. Speaking of devices, what other totems of modern civilisation are available: televisions, hi-fi… individual bathrooms? Well, we aren’t running around in loin cloths and hunting with spears! Our base camp facilities include the fastest fibre optic internet in the country, streaming music in our community centre and happy hour rancho, and yes, we have individual bathrooms, with on-demand hot water, no less! While we do not have televisions in our community centre areas by choice, some of the owners of the private homes do. With the exception of fibre optic internet in for our communications needs, the entire community is completely off the grid, with all power being generated via solar panels, and all water is from artesian springs and gravity-fed down the mountain. 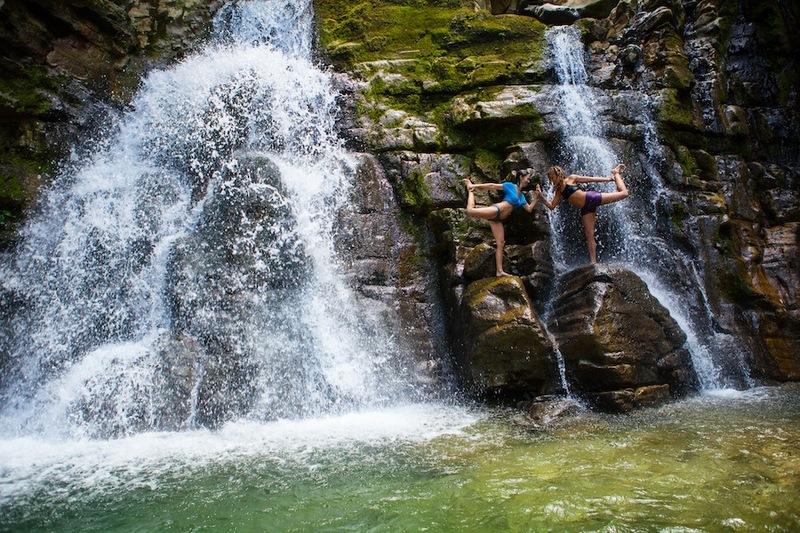 One of the many waterfalls found at Finca Bellavista. Given the wear and tear houses in tropical environments are subject to, is Finca Bellavista truly sustainable, or is it a transitional phase to another residential model in the future? Every home that we build and design at Finca Bellavista is designed to last a very long time; we aim for a 50-year lifespan. All the construction materials are sourced as locally as possible, including sustainably forested/harvested native hardwoods such as teak, which lasts practically forever if cured and kept out of direct exposure to the elements. Other conventional materials such as steel products are stainless, galvanized, or painted with anti-corrosive paints to prevent rust or deterioration. I feel quite positive about the fact that our model is focused on doing things as sustainably as possible, especially when compared with the typical development model of bulldozing a road and slashing down a nice flat spot in the forest to pour a concrete foundation. As for the future of Finca Bellavista, I have a lot of faith in its ability to sustain, not only the human members of the community, but also the other residents of the rainforest who have called it home far longer than we have. What are the greatest challenges facing the community as a whole in terms of sustainability? The single greatest challenge we face is avoiding the temptation to do things the cheap and easy way. We founded the community to save the mountain from a timber harvest, which is what the properties we purchased were being marketed for at that time. Putting the natural environment and its health at the forefront of every decision-making process has not always been the cheapest option, but it allows us to sleep at night knowing that we have done things to the best of our abilities and with a sound ecological conscience. The density of the forest as seen via GoogleEarth images from before we bought the property to now, and the rebound of native animal species that we have witnessed during our time living here over the past decade, is the evidence that we are making the right decisions. However, we have never had much capital and have always had to grow in a very grassroots and organic fashion! This has built a strong foundation for the people of the Finca Bellavista community but there are elements we could improve upon if we had some money in the bank. Improvements to our infrastructure, guest experience elements, food production, operations and hydropower would all benefit the economic strength of the community, and also the overall strength of the businesses that exist within Finca Bellavista (and provide more security for the 20-25 staff members who earn their livelihoods here). What do you love most about Finca Bellavista? The biodiversity. Having walked around the property almost daily for the past 10 years, there has not been a single day that something hasn’t stopped me in my tracks and made me say “Wow! Look at that!” Whether it is a troop of monkeys, a toucan, a multi-coloured butterfly or an amazing giant tree , I am constantly blown away and humbled by the things I see on a daily basis. It’s a truly exceptional place to live and I am grateful for the wonders it provides. Ecotourism: What on Earth Is It?